Hey everyone! 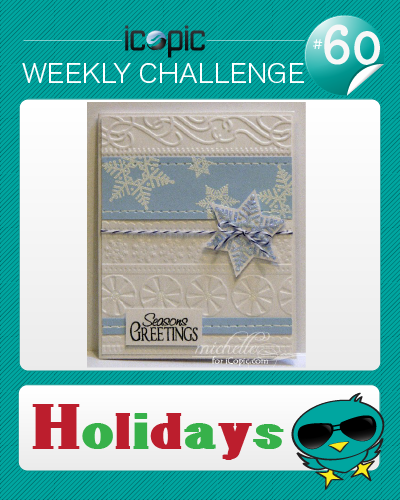 Welcome to our 60th iCopic Weekly Challenge!! Again this week, we are having a weekly prize just for our commenters!! We love when you leave us comments. Every week we will draw a name from all the comments left on that week's posts and give away a $5 gift certificate! The more posts you comment on, the more chances you have to win. We just want to offer this weekly prize to you guys to say thank you for stopping by and giving us your feedback. Make something holiday themed, be it Christmas, Winter, Hanukkah, Kwanza, or something else! As always use of Copics is required. Also, don't forget to check out our official rules (at the top under challenges). Add a direct link to your challenge project below. Projects are due on Sunday, December 18th at noon PST. A winner will be chosen at random to receive this week's prize. The winner and top 3 picks be showcased right here on the iCopic blog Sunday evening! 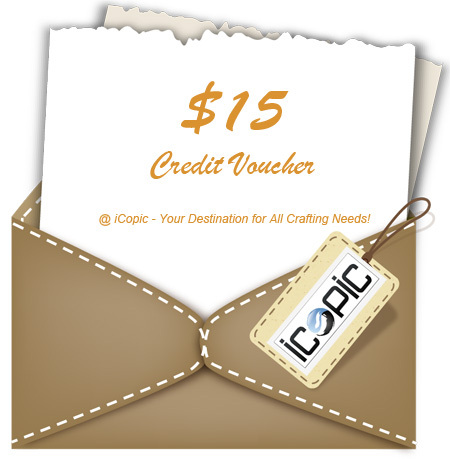 This week's prize is a special $15 gift voucher! For some inspiration, Michelle made two gorgeous Christmas cards featuring the SP and Company Christmas Emma stamp set and Divine Twine (in Blueberry and Cherry). 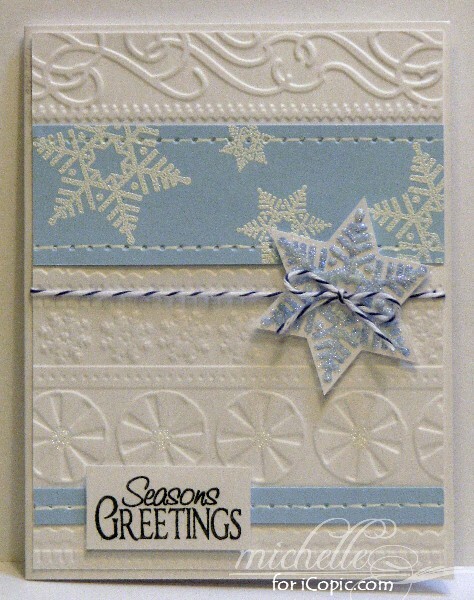 The first card also features the Christmas Medley stamp set. I love the embossing on these cards. They look great! Oh yay!! Love this challenge and the cards from Michelle are gorgeous! 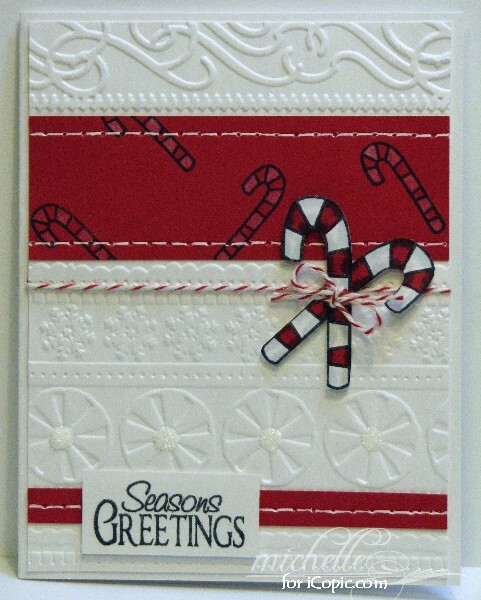 I love the embossing and those adorable candy canes and the stitching and...just beautiful! Just found your site. I am now follower 877. Love these cards. Hope to get a card linked up. Thanks. Totally gorgeous cards! Can't wait to get creating and get my entry in. Beautiful cards and so inspiring! The embossed background looks wonderful. Great cards !! WOw Michelle your card are FABULOUS!!! Love the embossing!! I love this Challenge. Beautiful cards for inspiration! Very nice cards I am still learning about the different card techniques but I think I really like these embossed papers. Those cards are great and I'm really enjoying my subscription to the blog. Lots of inspiration and eye candy!!! NEW Copic Sketch Colors for 2012! Copic Various Ink - Polished Stone Technique!